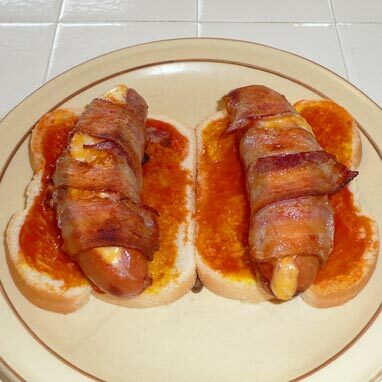 Bacon Cheese Franks A gourmet version of the bacon cheese dogs I remember my mother making. 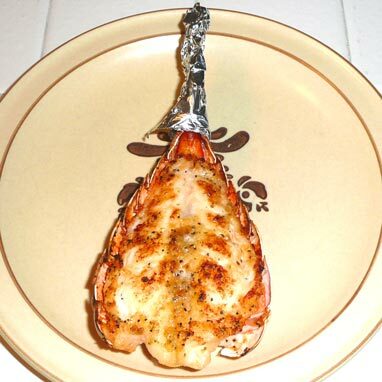 Broiled Lobster Tails While not as easy as boiling, much more delicious. 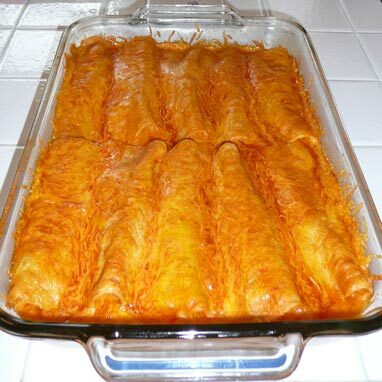 Chicken Enchiladas A cheesy chicken and onion mixture wrapped in corn tortillas and covered in sauce. 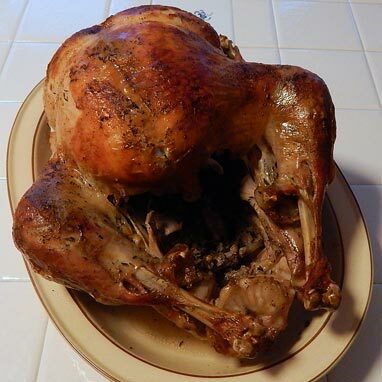 Covered Roaster Turkey A moister turkey made faster like Grandma in a covered roaster. 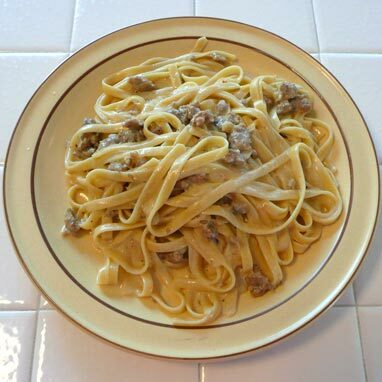 Fettuccine Carbonara A sausage and cream sauce served over fettuccine noodles. 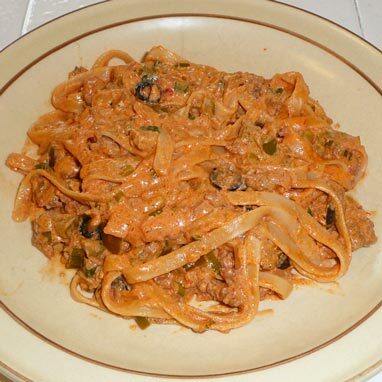 Fettuccine Fiesta Fettuccine in a spicy Mexican cream sauce. 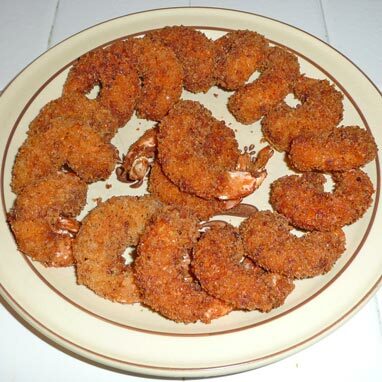 Fried Shrimp A Japanese style of deep fried shrimp. 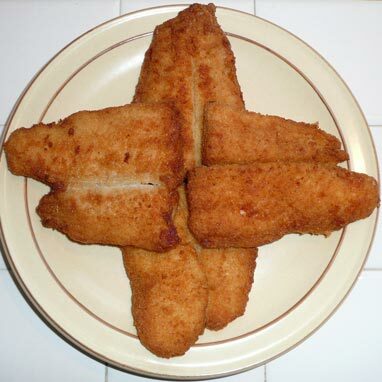 Fried Swai A breaded and fried mild flavored flaky white fish. 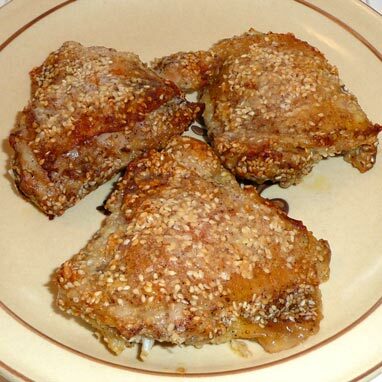 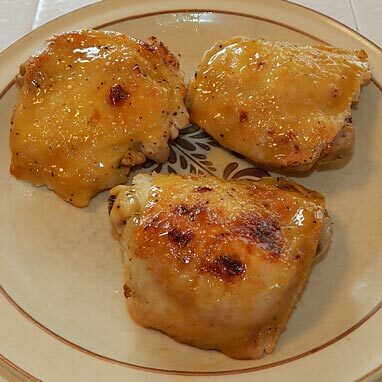 Honey Mustard Roasted Chicken Thighs Tender, moist and flavorful thighs with a honey mustard glaze. 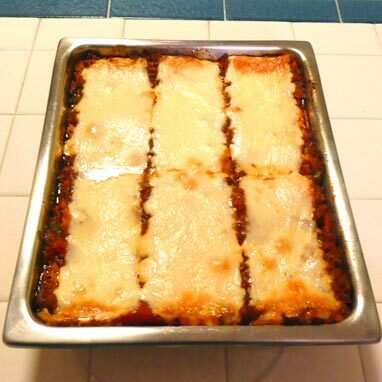 Lasagna This is a rich lasagna due to the use of all mozzarella cheese and no cottage or ricotta cheese. 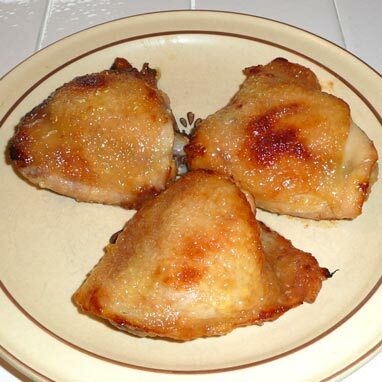 Lemon Butter Chicken Chicken grilled or roasted covered in a sweet and sour lemon sauce. 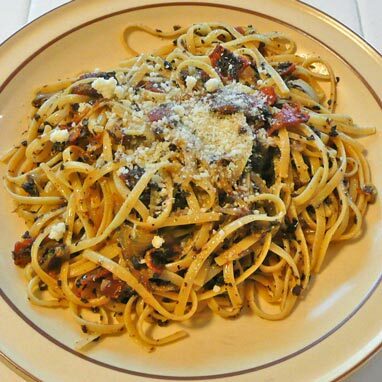 Linguine with Caramelized Onions, Bacon and Olives A pasta dish with a unique blend of flavors. 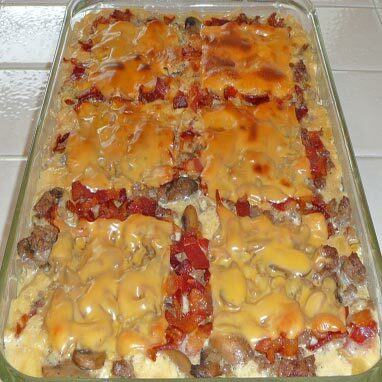 Mac and Bacon Cheeseburger Casserole A bacon cheeseburger casserole substituting macaroni for the bun. 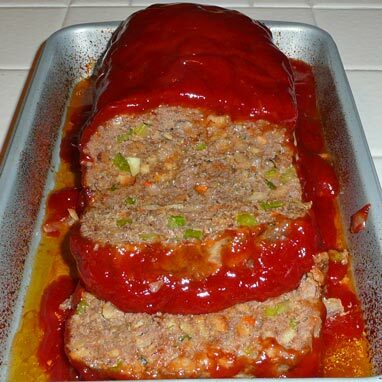 Meatloaf A well seasoned vegetable ladened meatloaf. 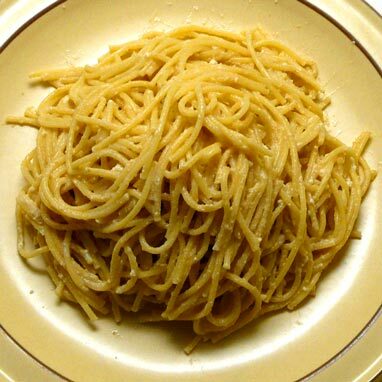 Mizithra Cheese and Browned Butter Spaghetti Spaghetti in a unique browned butter and Mizithra cheese sauce. 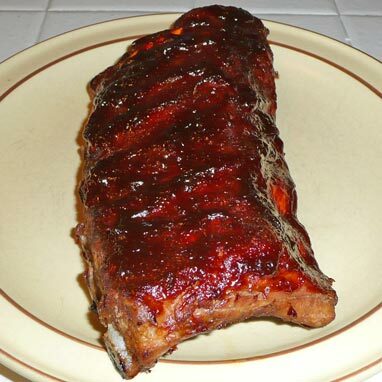 Oven Barbecued Baby Back Ribs Not as good as grilled but better than waiting all Winter long. 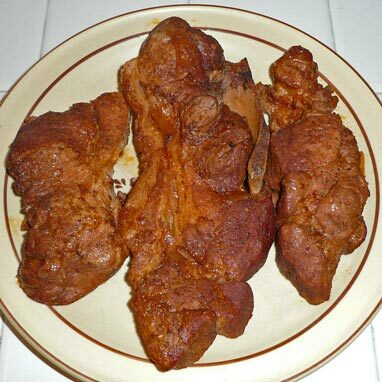 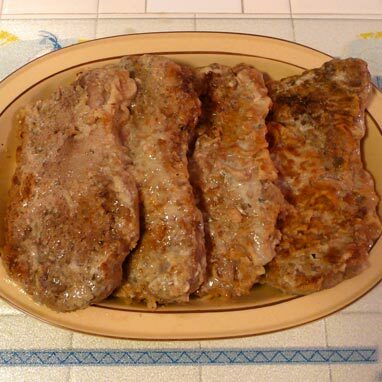 Oven Barbecued Country Style Ribs Tender, juicy and meaty oven barbecued pork country style ribs. 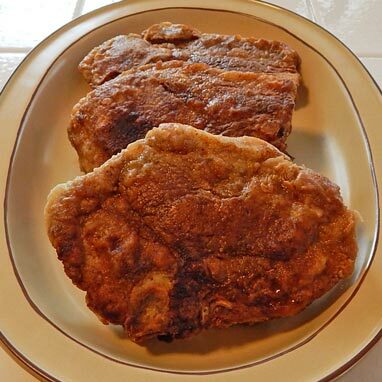 Pan Fried Pork Chops Breaded and Pan Fried like Grandma made them. 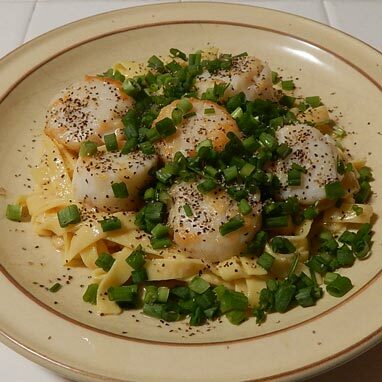 Pan Seared Parmesan Scallops Succulent parmesan encrusted scallops atop buttered noodles. 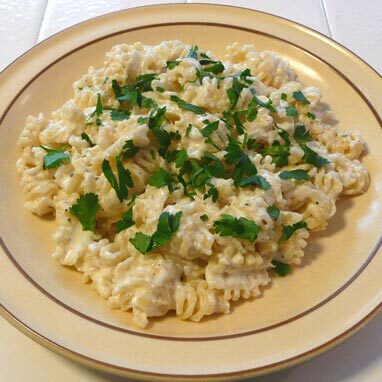 Pasta with Three Cheeses Radiatori pasta in a rich white cheese sauce. 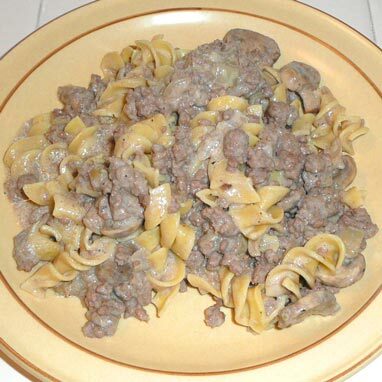 Poor Man's Stroganoff Substituting beer, ground beef and sauce mix for wine, steak and spices. 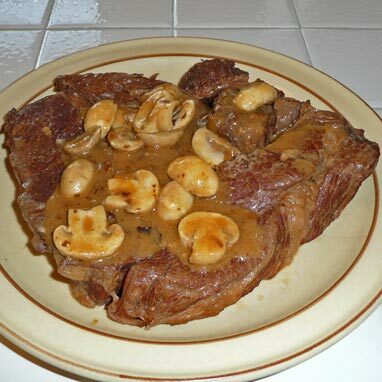 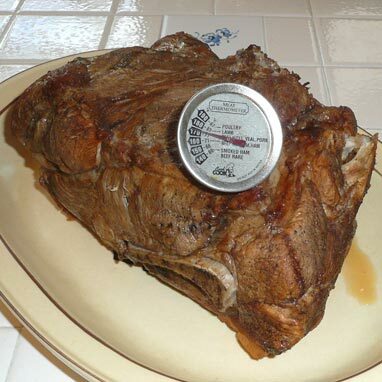 Pressure Cooked Chuck Roast Delicious and couldn't have been more tender. 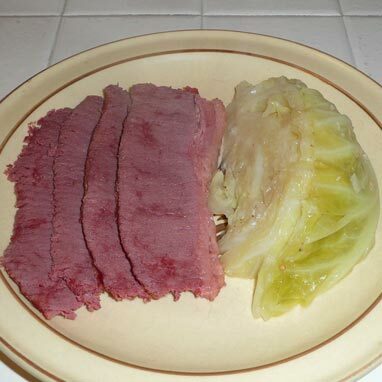 Pressure Cooked Corned Beef and Cabbage The pressure cooker makes this St. Patrick's Day classic tender in no time. 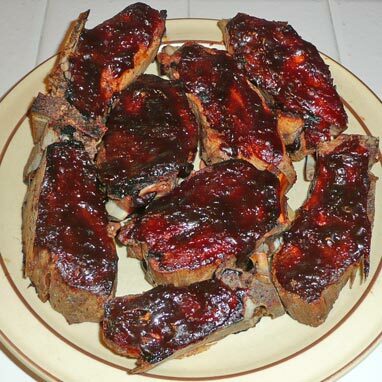 Pressure Cooked Country Style Ribs Quick, tasty and so fork tender you will not even need a knife to eat them. 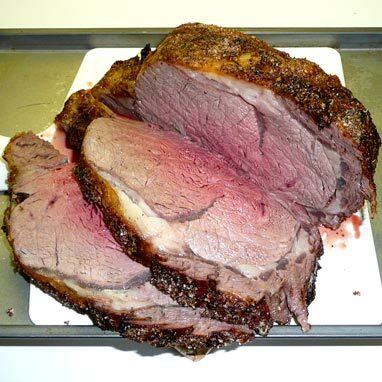 Prime Rib Way easier than one might guess. 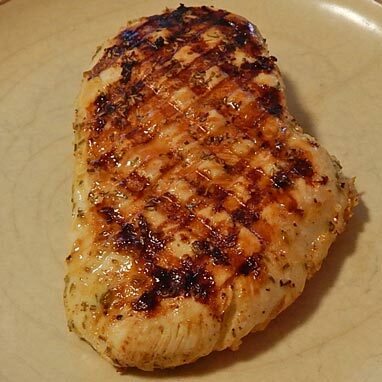 Rosemary's Chicken Breasts Deliciously flavored and moist grilled chicken breasts. 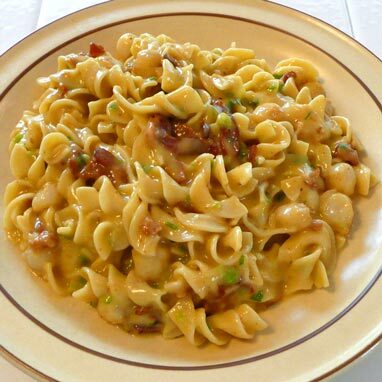 Scallops in Beer Cheese Sauce My own creation of scallops and bacon in a beer cheese sauce over noodles. 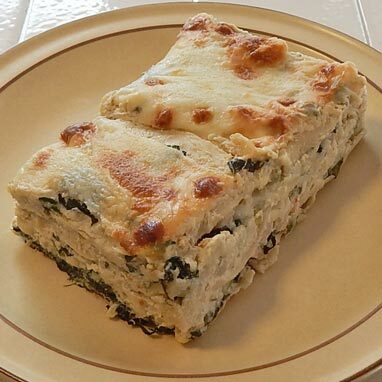 Seafood Lasagna Seafood in a cream sauce between lasagna noodles and cheese. 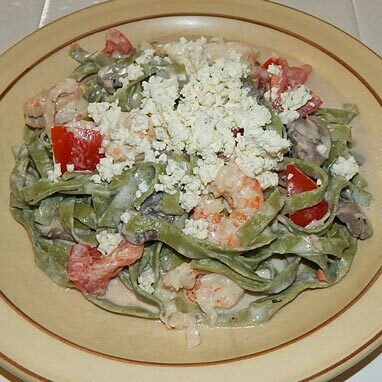 Shrimp Fettuccine with Boursin Cheese Shrimp in a mild Alfredo sauce with Boursin cheese over Spinach Fettuccine. 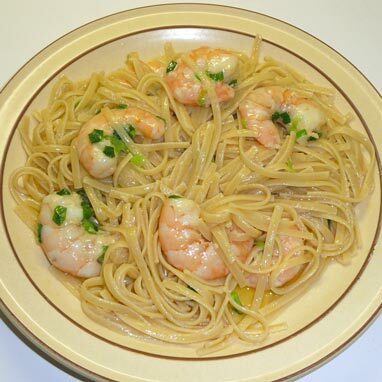 Shrimp Scampi Pasta All the goodness of Shrimp Scampi turned into a meal with Pasta. 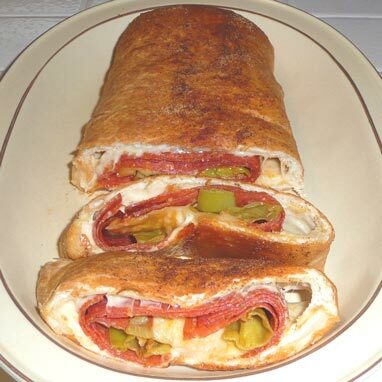 Stromboli This is like pizza only rolled up and no sauce. 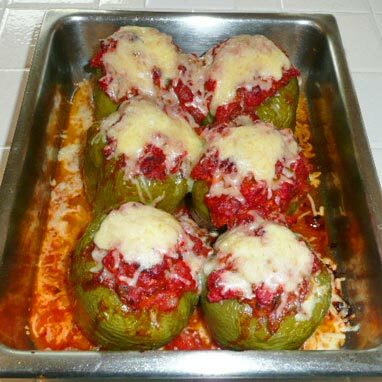 Stuffed Peppers Another from my growing up, but with more flavor and an Italian flare. 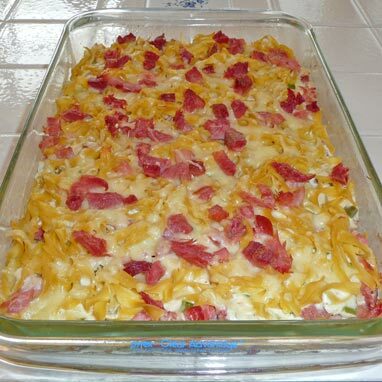 Swissed Ham and Noodles Casserole A casserole version of a ham and swiss sandwich. 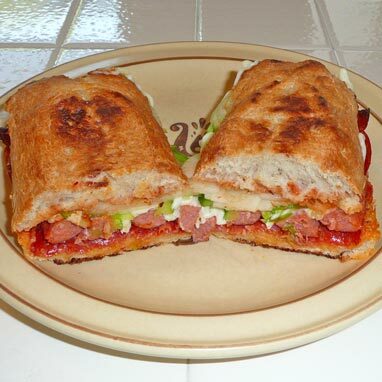 The Italian North Village Sub Sandwich A fresh baked toasted Italian sub roll filled with Italian favorites. 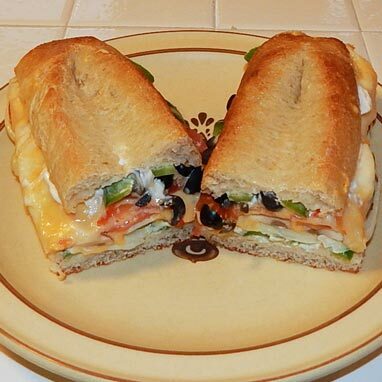 The Vegetarian North Village Sub Sandwich A fresh baked toasted sub roll filled with cheese and vegetables. 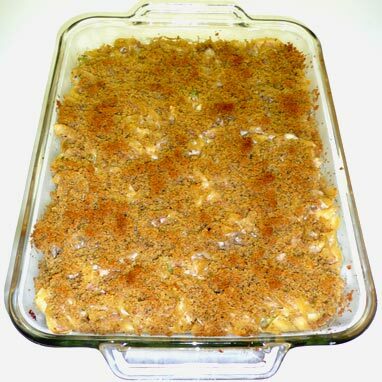 Tuna Noodle Casserole How my mother and I liked it...no peas. 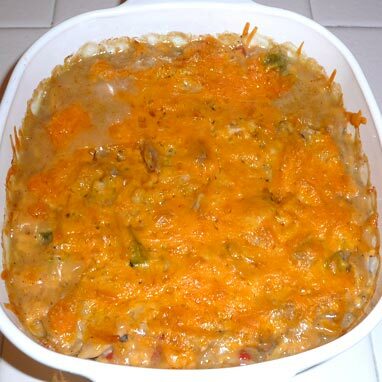 Turketti Use leftover turkey to make this delicious turkey and spaghetti casserole. 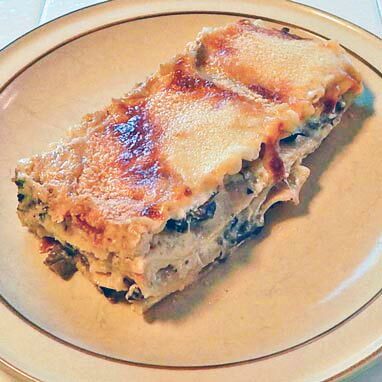 Wild Mushroom and Goat Cheese Lasagna A vegetarian lasagna with wild mushrooms and goat cheese in a white sauce. 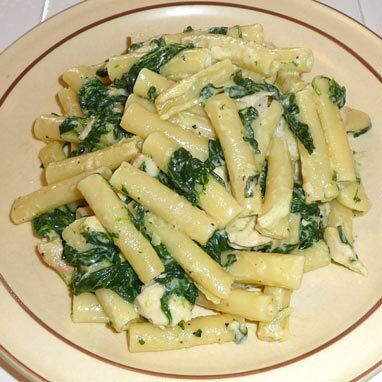 Ziti con Pollo A chicken, spinach, and pasta dish in a parmesan cream sauce.